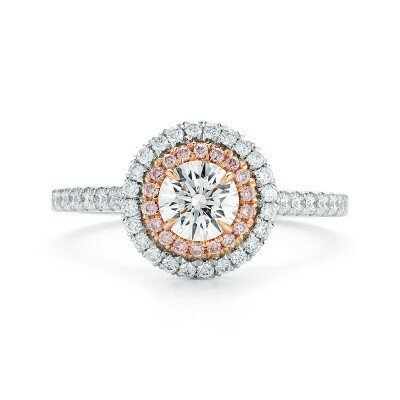 This diamond ring features a round center stone in a halo setting and a pave band. The center stone is available in all sizes colors and qualities. 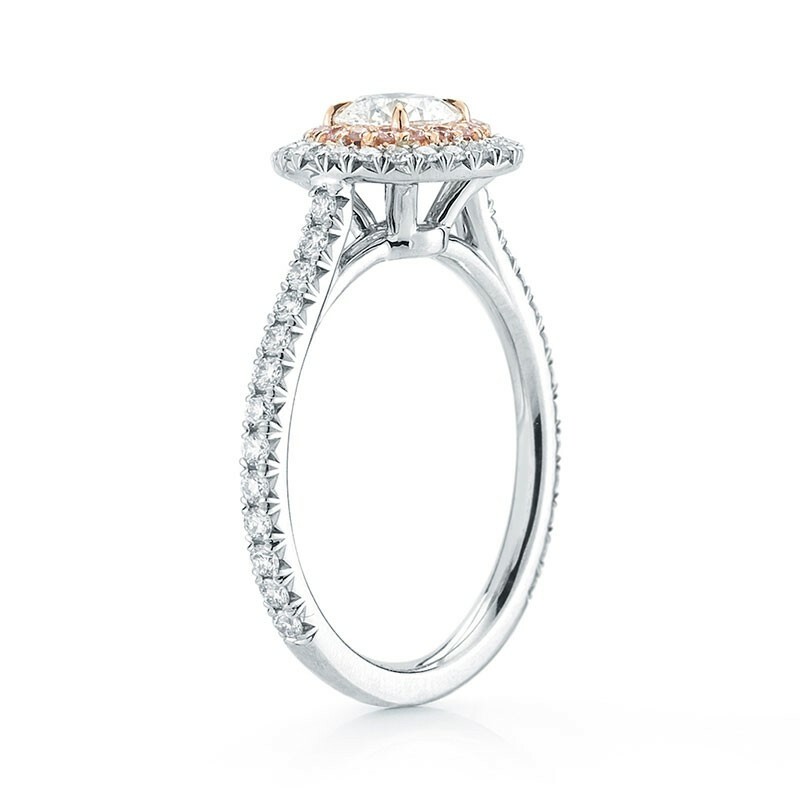 Setting available in platinum gold white gold and rose gold. 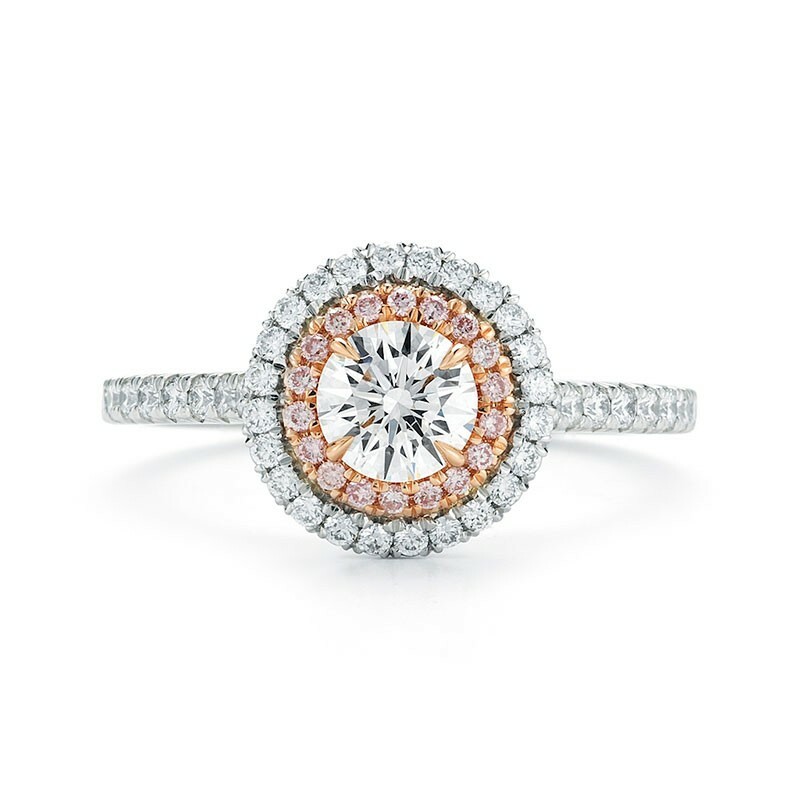 White gold is rhodium plated for lasting durability. Made to order if not in stock.